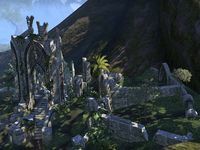 When the Daedra-worshiping Ayleids were driven from Cyrodiil after Alessia's Slave Rebellion, many of the Wild Elf clans took refuge in Valenwood. One of the foremost of those clans was granted the right to excavate dwelling-halls under Elden Root itself. Elden Hollow I is a group dungeon found under Elden Root in central Grahtwood. In this version, the Mages Guild are looking into reports of a strange ritual happening within Elden Hollow and need protection from hostile Wood Orcs of the Darkfern Clan. 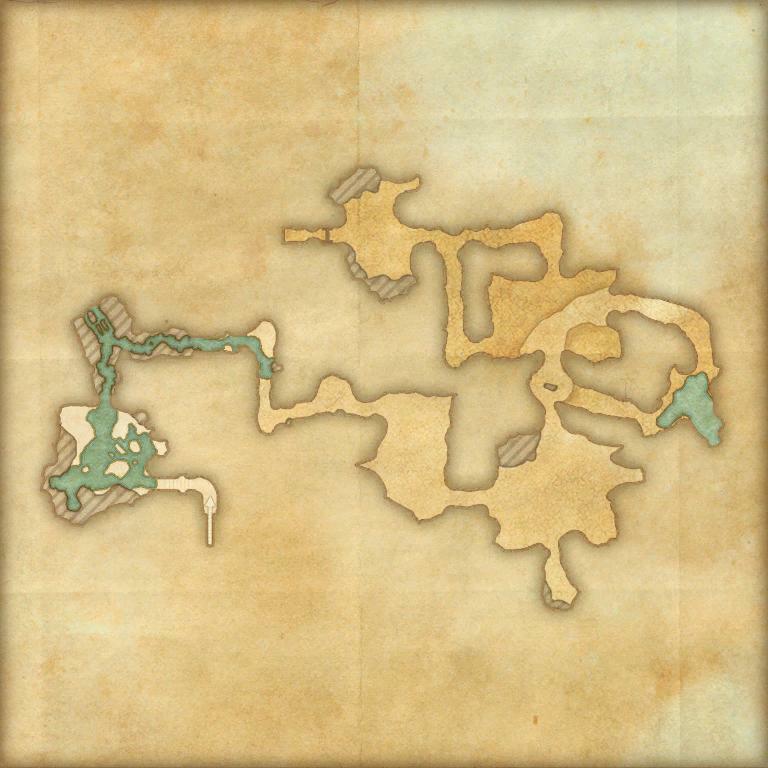 You can learn about its location from Venomous Fauridil outside Elden Root, Hel Ra'Lala outside Wayrest, or Thongar the Stout outside Mournhold. Elden Hollow Objective: Explore Elden Hollow. Ancient Remains: Investigate Wood Orc activity in the ruins beneath Elden Root. Pledge: Elden Hollow I: Explore Elden Hollow I and return Undaunted. 5 items: Adds 5-450 Spell Damage to your Restoration Staff abilities. 5 items: Reduces the duration of immobilizations and snares applied to you by 50%. When an immobilization or snare is applied to you, heal for 23-2000 Health and restore 11-1000 Stamina. This effect can occur once every 5 seconds. 5 items: When you taunt an enemy while you are under 60% Health, gain a damage shield that absorbs 160-13760 damage for 6 seconds. This effect can occur once every 10 seconds. Elden Hollow I Vanquisher 10 Defeat Akash gra-Mal, Chokethorn, and Canonreeve Oraneth in Elden Hollow I.
Elden Hollow I Conqueror 10 Defeat Akash gra-Mal, the Ancient Spriggan, Chokethorn, Nenesh gro-Mal, Leafseether, and Canonreeve Oraneth in Veteran Elden Hollow I.
Canonreeve Reaver 50 Defeat Canonreeve Oraneth in Veteran Elden Hollow I, after invoking the Scroll of Glorious Battle. Veteran Alit Slayer 10 Defeat 100 Alit in Veteran Elden Hollow I. Veteran Darkfern Orc Slayer 10 Defeat 400 Darkfern Orcs in Veteran Elden Hollow I.
Elden Hollow I Survivor 50 Defeat Akash gra-Mal, the Ancient Spriggan, Chokethorn, Nenesh gro-Mal, Leafseether, and Canonreeve Oraneth in Veteran Elden Hollow I, without suffering a group member death. Elden Hollow I Assassin 50 Defeat Akash gra-Mal, the Ancient Spriggan, Chokethorn, Nenesh gro-Mal, Leafseether, and Canonreeve Oraneth in Veteran Elden Hollow I within twenty minutes of starting the dungeon. Timer starts when players engage the first group of Thalmor. Before dungeon scaling was introduced in Update 5, Normal Elden Hollow was designed for levels 20–23, and Veteran Elden Hollow was designed for Veteran Ranks 6–10. Prior to Update 12, Elden Hollow I was only available in Normal mode, and Elden Hollow II was only available in Veteran mode. These were named Elden Hollow and Veteran Elden Hollow respectively. Several books can be found inside the dungeon, mostly featuring the thoughts of Canonreeve Oraneth or the communication between Oraneth and Darkfern Orcs: Letter to Akash, Note from Akash, Savior of the Altmer, and Time is of the Essence. This page was last modified on 2 March 2019, at 21:05.